When love blossoms from friendship it sets you down an undeniable path of lifelong adventuring together! Shirish and Angela ventured to Iceland for their first trip together and not only fell in a deeper love with each other but found themselves in love with the island! So it was really special for them to make the decision to come back here to Iceland to elope. Once they contacted us here at Iceland Wedding Planner, they realized how awesome it would be to have private wedding locations and were very keen to have a “day of memory making” no matter the weather conditions. Well, Iceland never disappoints with surprises and unpredictable weather, that’s for sure! For 3 days straight there was a storm that hit the South and their wedding day was right between them. They embraced the unruly weather and came prepared even with wedding attire that would stand out from the blizzard-like conditions! Well done Angela + Shirish, I must say! So! 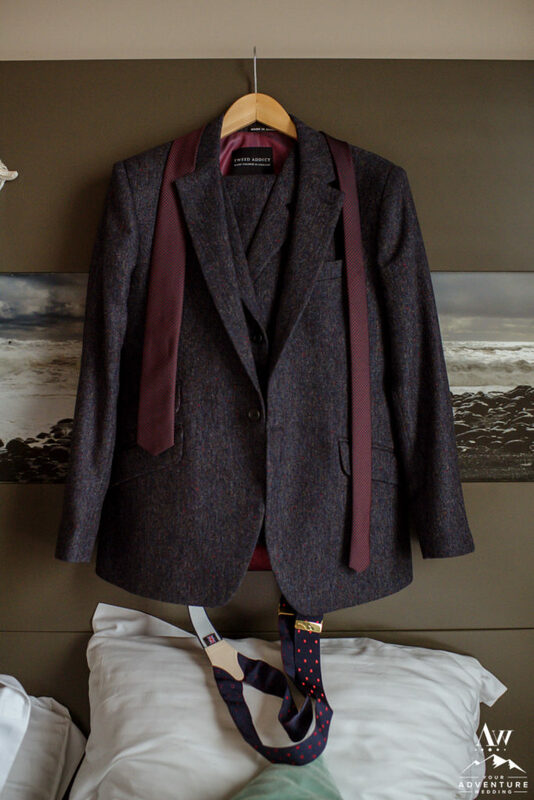 Come along with us today to experience their intimate winter wedding in Iceland! Often into April we still have snow and snow capped peaks! 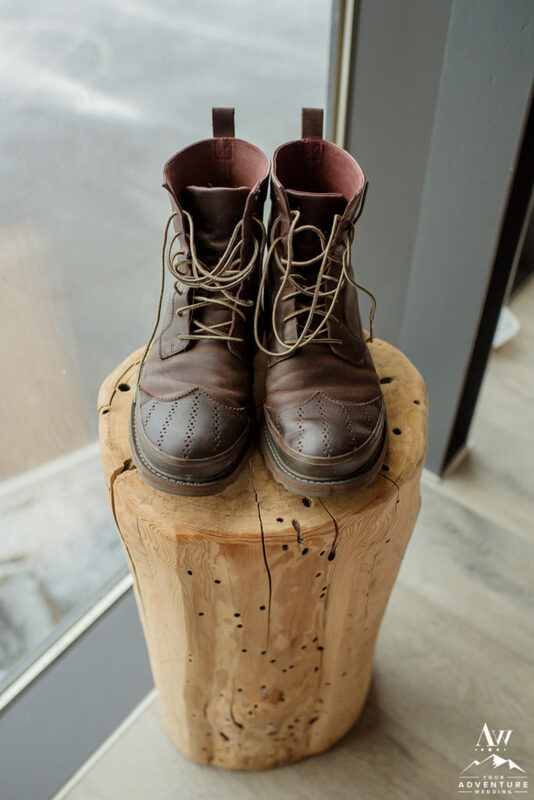 …and how darling were her shoes for their dinner after their Iceland wedding adventure? Ohhhh and Shirish, he had some serious style too with his Iceland groom details! If you have not been to Icelandair Vik before, there is usually an incredible view of the Reynisdrangar basalt stacks but they are hidden because of the blizzard-like conditions! …and so we were off into the extremely exciting adventure wedding day trek! There was just something so magical about the two of them smiling at each other from across the fire in front of that beautiful secret waterfall and Angela’s cape blowing! They jointly recited their vows together to make it even more meaningful. Notice they were laminated! They were ready for any kind of weather Iceland decided to give them! Exchanging tokens doesn’t always have to be “rings” you know, right? Shirish chose to give Angela a necklace and Angela chose a watch for Shirish! Hello Blizzard. Biggest snowflakes I think any of us had EVER seen! Seriously folks, the snow was PILING up on all of us! Such an epic memory! Endless HIGH FIVES to these two and embracing the snow storm during their elopement in Iceland! I almost feel like they were challenging the snow, like “Is that the best you can do?” They just adventured and laughed harder through it! Mmm and onto the warmest and luxury part of the day… Their Iceland Luxury Picnic in a private cave! One of my all-time favorite sayings is, “Life is either a great adventure or nothing at all!” So very true! Nothing more amazing than quite moments spent in secret canyons with hidden waterfalls for Iceland wedding photos! Swoon! © 2017, Iceland Wedding Planner / Photos by Miss Ann, All Rights Reserved.